Your loved one’s birthday only comes once per year – don’t let it slip away! 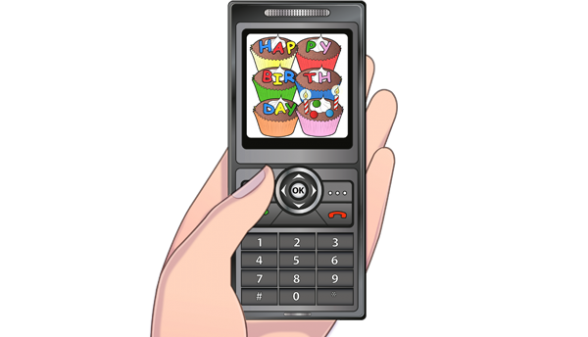 Use happy birthday text messages to voice your devotion and wish them well. After all, one of the key parts of romance is honoring your special someone on the day that should be completely dedicated to him or her. Whether you’ll be seeing them later that day, they live clear across the country, or you’re just starting out as a couple, here are some ideas to fill up their text inbox and keep you on their mind all day long. Creative and thoughtful Happy Birthday texts scream “I love you”. Birthdays should be special days, reserved for having a good time, and doing exceptional activities (like hitting up the spa). However, all fun aside, the real birthday treat is feeling that your favorite people care about you. Nobody around to feed you cake? During the holidays, there are usually tons of other friends and family members to celebrate with, but being apart from your boyfriend, girlfriend, or spouse on your birthday is never easy! Try to lessen the blow by texting something extra cute. The night before, let your partner know just how much you wish you could be together, and that you have a special surprise coming their way. Now, get your tush to bed early, and make sure to charge your phone! 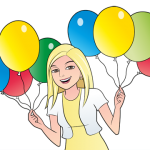 Schedule a wake up text for the birthday girl or boy. (By the way, this is a good time to brush up on your time zone differences!) Your cute little message will set the tone for their happy day. Try a different approach this year: send your partner a piece of trivia that corresponds to their special day. Head over to Google and Wikipedia and hit a search query for birthday. Next, text them the information you’ve found. This is a unique way to celebrate their birthday because they will only receive ONE text message with such creative content, and they will notice the extra effort. Another unique way to celebrate their birthday is by sharing a special poem or quote from a book that reminds you of them. You could quote lyrics from a song that connects the two of you together. For a special twist, you could send it as a visual. If you aren’t dating yet, make sure not to come on too strong. The texts you send should reflect how deep your relationship is; if you’re pretty sure the recipient also has a crush on you, then go ahead and be as flirty as you usually are. If you aren’t sure about their feelings, avoid going overboard. Instead, send sweet and subtle happy birthday texts to show how much you care. Drum up excitement for the birthday festivities as soon as you can! Even though you’ll be wishing your partner a happy birthday in person, you should still take the opportunity to send them a special text. Say something especially meaningful if this is the first birthday you’ll be spending together. You could also let your crush know that you’re looking forward to the birthday festivities as much as they are. There could be one of several reasons why you won’t be celebrating your partner’s birthday with them – maybe you’re not a part of the social circle they’ll be celebrating with, or maybe they felt too shy to invite you. Don’t fret! There’s still time to show how much you care, and maybe even get yourself a last minute invite. Try asking about how they’ll be celebrating without directly asking. This way, it won’t sound like you’re trying to score an invitation. Go ahead and let them know how you feel about them. This is one of the few days where showing them with compliments won’t seem unprompted! If they’re impressed, a dialogue about feelings can then be opened, and possibly lead to something more. This is a good time to let your crush realize you associate them with laughter and good times. This sort of text shows how much you appreciate their companionship, no matter what your current relationship is. Now it’s your turn. Make your partner’s birthday extra special by sending one of these heart felt happy birthday texts!